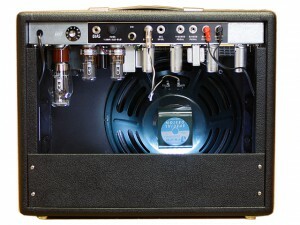 The sound samples have been recorded with a SURE SM57 microphone ; placed about 15 cm in front of the speaker. No EQs, compressors or any other effects were added. The tremolo and reverb you hear comes straight out of the combo. 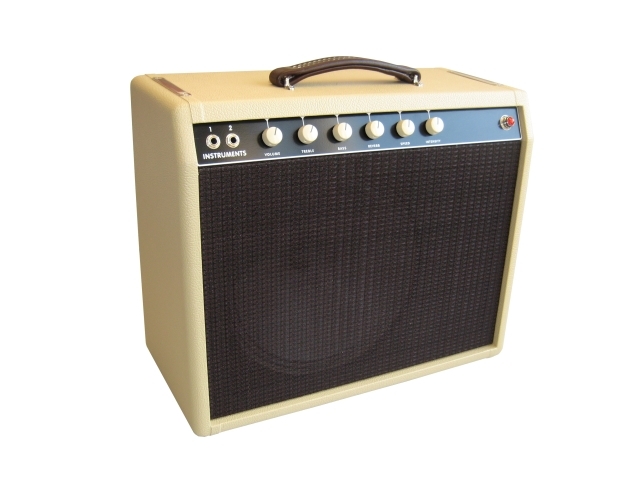 You hear the standard Princeton combo JENSEN P12Q speaker. 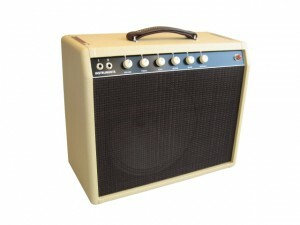 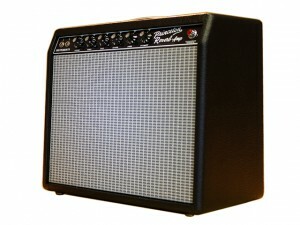 This is like the swiss army knife if you like the legendary Fender clean sounds and reverb. 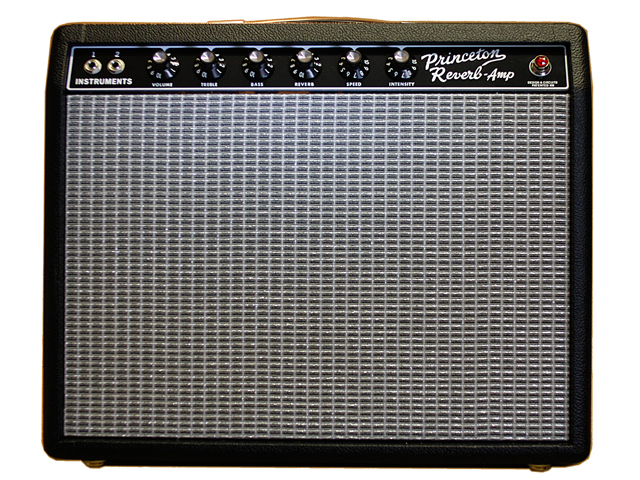 The tremolo is a bias tremolo which means that the output tubes current is altered to get the tremolo sound. 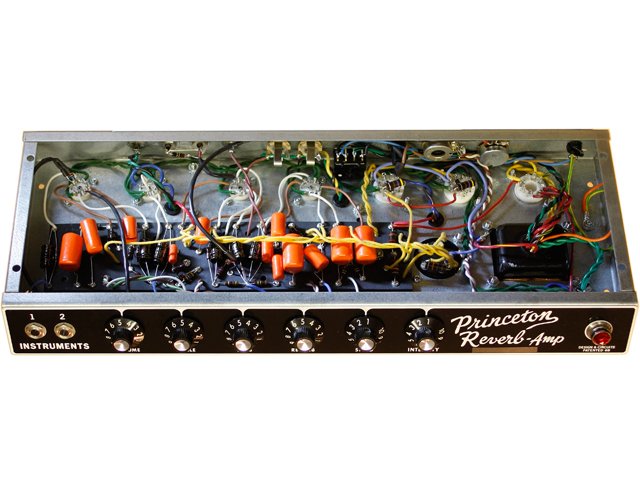 This kind of tremolo sounds more musical than the LDR tremolo found in many later blackface amplifiers….at least to my ears. 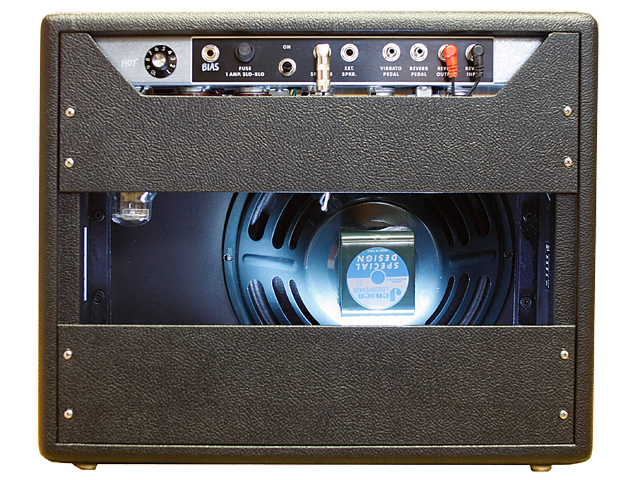 The little combo amp is very light weight and easy to transport! You could take the Princeton + your guitar and go by train to your next gig without any problem. 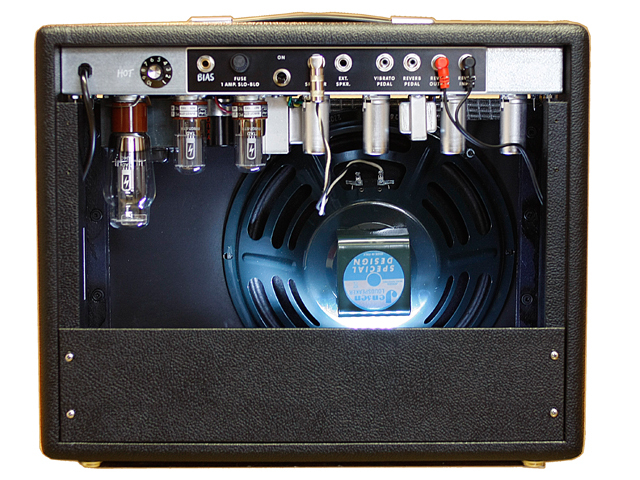 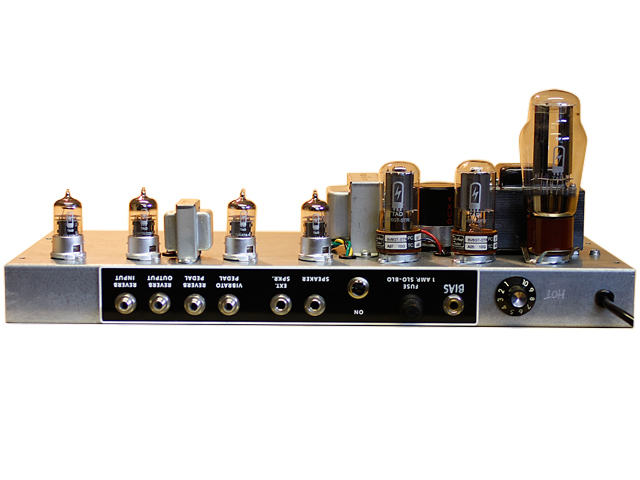 This is one of my favorite amps ever.